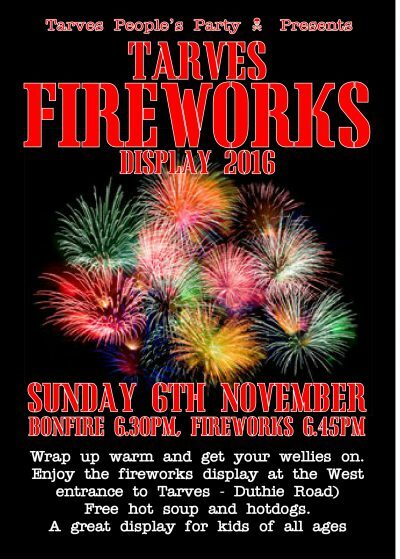 This year the Tarves People’s Party have moved the Fireworks and Bonfire to the park west of the village on the North side of Duthie Road. The Glebe has been re-sown with grass this year and cannot be used. The format will be the same. 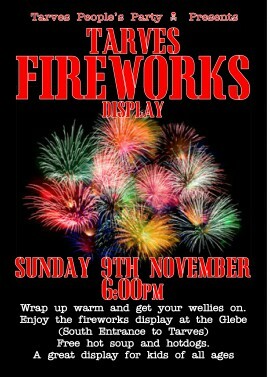 Gather after 6pm for 6.30pm for the lighting of the bonfire. 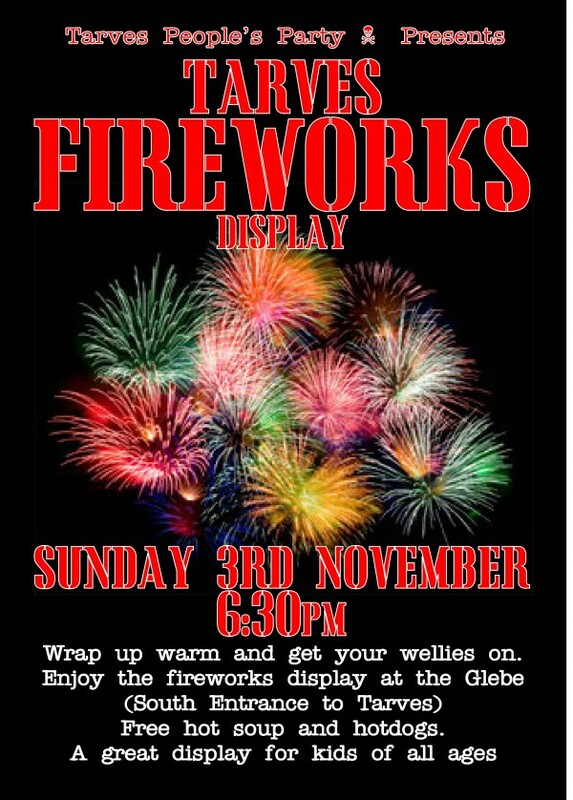 Fireworks at about 6:45pm. Free soup/hotdogs etc available as before. please give generously at the entrance, if you have not contributed when coming round the doors in Tarves on the 24th Oct.
Bonfire is on Sunday 9th November at the Glebe, Tarves. Bonfire lit 6pm. Any bonfire fodder can be taken along to the pile before Sunday. Please also make sure anything you do take along is SAFE and LEGAL to be burnt. Old wood, bushes, tree trimmings etc. NO TYRES. Thank you. 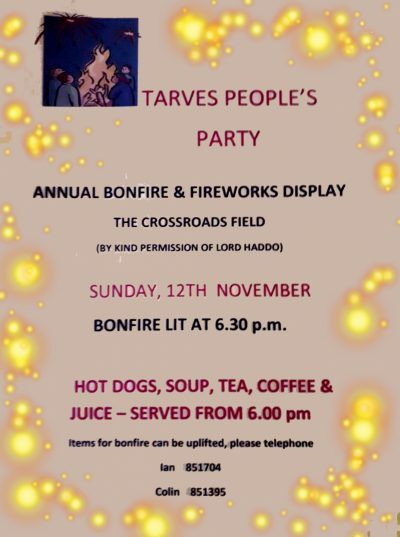 Many thanks again to the Tarves People’s Party for organising the Fireworks display. In the Glebe field down the hill from the Kirk. The fire is lit for 6:30 and the Fireworks will be shortly after.